How is Congress going to check President Trump's power? How will tribal relations be affected by repealing the Bear Ears Monument? What are the prospects of returning healthcare back to the state level? 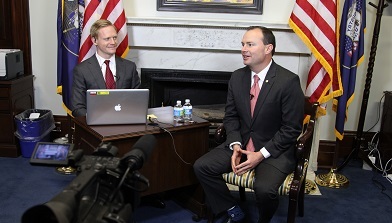 Senator Mike Lee held this live, interactive Town Hall on February 6, 2017. He discussed executive overreach, the future of the Affordable Care Act, and his Article 1 Project. Many callers had questions about the Senate’s process for confirming President Trump’s cabinet. Senator Lee also fielded questions about the plans to rescind the Bears Ears National Monument in Utah.